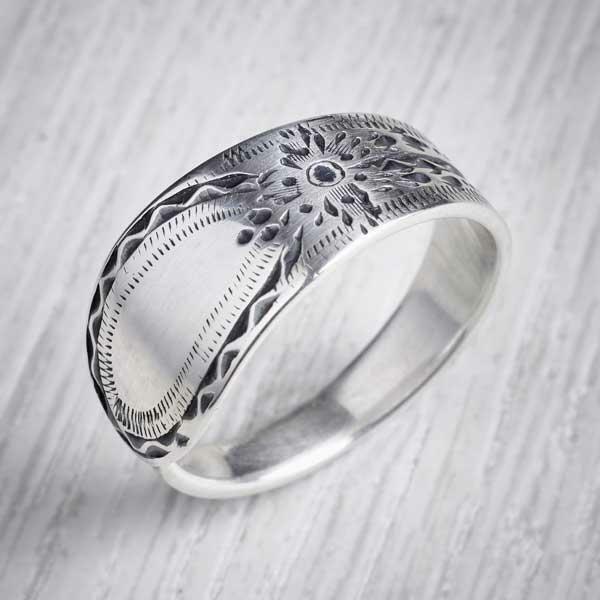 This striking, silver ring is made from an antique, solid silver spoon! This Seafoam Ring is handcrafted from a flattened recycled teaspoon. 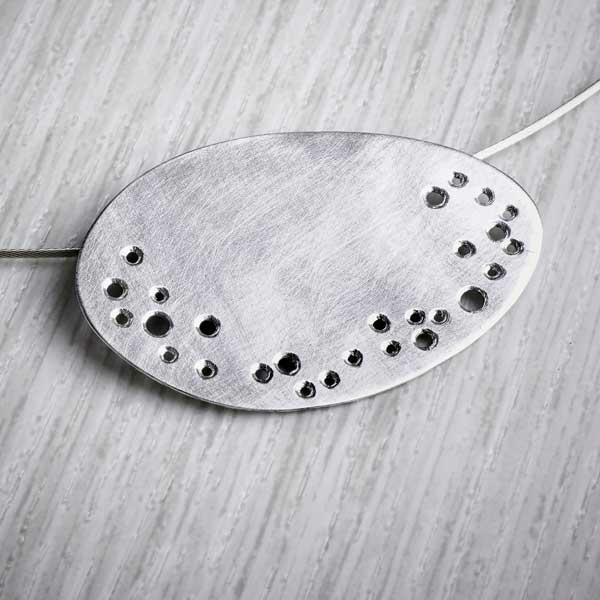 Delicate, lightweight and airy, the drilled surface is inspired by the seafoam generated by the incoming and outgoing tide. Tiny white bubbles that wash up at your feet and slowly fade. Each ring measures approx. 2cm x 3.5cm – sizes vary slightly depending on the spoons used.